If you’re looking for a reliable supplier of all air conditioning, ventilation, and air handling system parts, we’re the company for you. 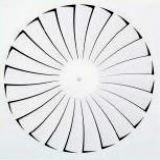 We specialise in supplying and making a multitude of parts for HVAC systems for businesses across the UK. 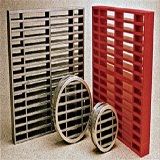 From diffusers, grilles, and louvres, to kitchen ventilation equipment and stainless baffle filters, we’ve got you covered. Not only do we have a range of high quality products available to purchase on our website, we also make a variety of parts to order. This means we can guarantee we have exactly what you’re looking for. We understand that, sometimes, the product or part you need just isn’t available. That’s why, along with offering a wide selection of off the shelf products, we also provide a custom design service for bespoke parts for ventilation, air handling, or air conditioning systems. 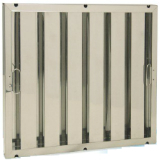 Email our technical team with a drawing of the product or vent that you require and we’ll do the rest! It really is that simple! Whether you require assistance in choosing the right part to meet your requirements, or you have questions about any of our products, feel free to contact one of our team. You can call us on 0161 336 5065 or email us at enquiries@combivent.co.uk or sales@cveshop.co.uk and we’ll be happy to help.